Photo taken yesterday evening on my commute to home. Time flies, and 2011 is closing. It's time to look back and look ahead for 2012. I have still not written the full story of this amazing adventure, but I will. The end of 2011 will certainly be not forgetten because of the very strong storms of Dagmar/Tapani and Hannu. I had plans to start my next DIY project after the Christmas but they were thrown out of the window as my home was without electricity for 62 hours. More photos of the damage that the storms caused are HERE. I'm also very satisfied with my bike commuting and with the 9:Zero:7 with a frame bag and pannier I have taken commuting to another level. I have proved myself that I can handle all the weather conditions that the nature throws on me. In 2012 my goal is to take even more out of it, by riding more different routes and write more about it here in the blog. My blogging is slowly improving and the move from Thingamablog to Google Blogger was excellent choice. With the better camera, Canon PowerShot SX130 IS, my photographing has improved too. But there is still a lot to improve. Blogging is also time consuming, and in 2012 I will try to write more my thoughts with the new smartphone, Samsung Google Nexus. 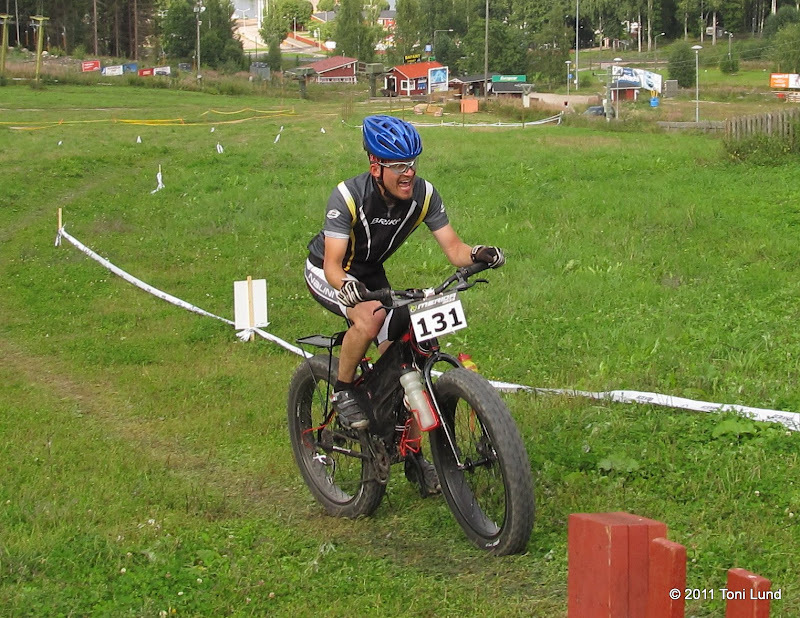 I'm also the Finnish correspondent of Fat-bike.com, and I hope I'm able to write some quality articles there too. In 2012 I hope there will be monthly overnighters and two bigger adventures, one in the winter and one in the summer. So, it's time to say big thank you. First of all, I want to thank my awesome family, my wife: you are always my inspiration, my best support. What you have went through with your health is overwhelming. You are a true survivor and many adventurers would pale in comparison! And my little daughter Isabell. You are an amazing girl! Thanks to my parents, you are important part of the Team Lund. Thanks to my wife's parents, for the ton of hard work. Thanks to Peter Nylund. Your experience was instrumental during the Ice Journey adventure. And the overnighters together were great too. Thanks to Jan of LBS Pyöristi, for all the help with bikes and stuff. Thanks to Hendrik Morkel for WIR mentions, inspiration and sharing your knowledge. And thank you all the blog readers and commenters, here and in social media! I hope you will follow my blog in 2012. Happy New Year!